You’ve seen it in every healthy pudding this side of your nearest Whole Foods – now it’s time to introduce it to your skin regime. 100% pure, cold-pressed and organic, this formulation provides the unmitigated power of a natural wonder: chia seed oil. Immediately soothing, calming and nourishing skin, this oil is brimming with essential fatty acids, vitamins, minerals and antioxidants – it can even bring softness and strength to hair as well as skin! 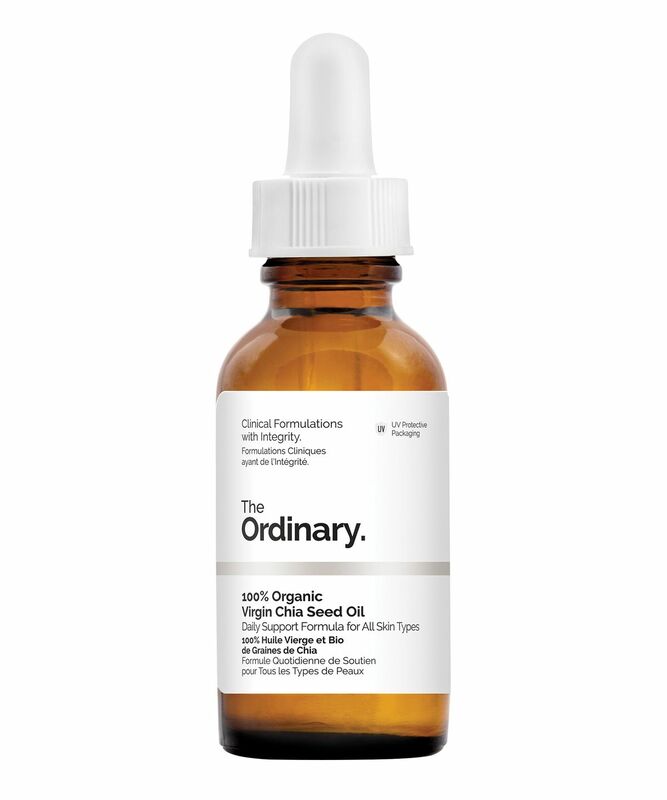 Providing a pure, unmitigated natural skin saviour, The Ordinary’s 100% Organic Virgin Chia Seed Oil is brimming with vitamins, antioxidants and essential fatty acids, which are known to hydrate and promote a smooth, even complexion. Containing an exceptionally high concentration of alpha-linolenic (omega 3) and linoleic (omega 6) acids (as well as oleic, stearic and palmitic acids) together with multiple vitamins, minerals and antioxidants, this is incredibly nourishing, moisturising and protective. A multi-tasking miracle, it can also be used to enhance your hair’s softness, sheen and strength. This product is really good. I am happy that I bought it and I will buy it again. It is a really good moisturizer and it helps to get rid of pimples, it cleared my skin, it makes my skin smooth. It has been a week since I first started using this so I don't know if it really works. But one thing for sure is I love it on my skin. It keeps my skin supple and smooth throughout the whole night. The smell is mesmerizing. I can't wait to apply it to my face every evening.